ex-Archimede, built 1927, about 350 tons, 2-mast motor schooner. 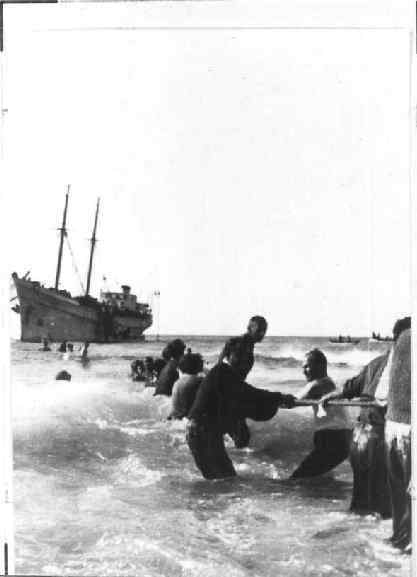 Evaded the Royal Navy and was beached at Nahariya. 131 passengers detained, others evaded arrest. Ship broken up by the sea.